You are browsing the archive for Europe. Series of fantastic anthropomorphic maps of European countries, each footnoted by a witty quatrain, was produced by London publisher Hodder and Stoughton in the 1860s. EU decision making is quite complex, involving national governments and parliaments, the European Commission and the EuropeanParliament, the European Council and the many EU institutions and agencies involved. Still, there is already quite some open data available, differing in quality and ease of use. Definitely, you want to know more about the EU’s institutions, who work there and how you can contact them. Although the information is available at the EU Whoiswho website, the data is not easily reusable. That is why we scrapped it and had made it available to you on GitHub as CSV and JSON. And if you’re crawling through information on EU budgets, finances, funds, contracts and beneficiaries, you’ll notice there is much room for improvement. So, there you go, join us and help to make the EU more transparent as TransparencyCamp Europe comes to Amsterdam. Registration for the unconference is free, follow us on Twitter and subscribe to the newsletter. A selection on Augustus Sherman's photographs of immgrants passing through Ellis Island on their way to new lives in the United States. 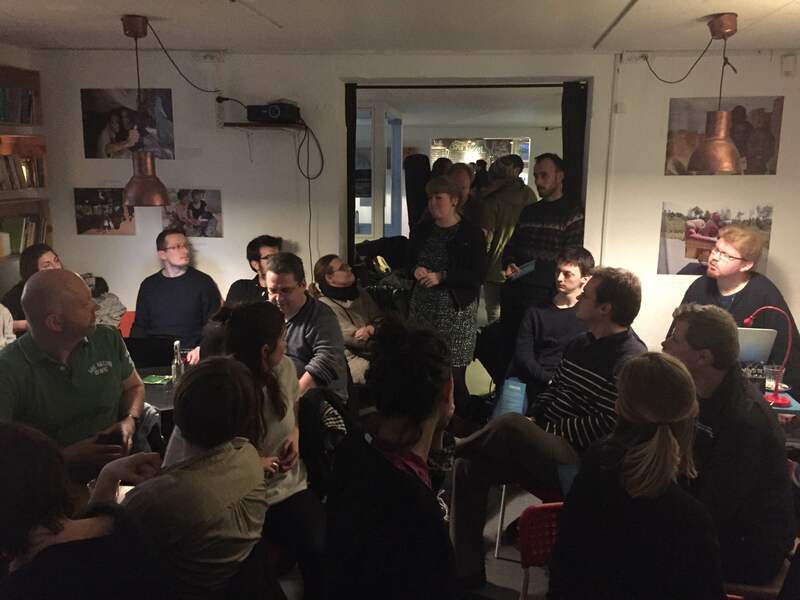 In our follow-up series about Open Data Day 2015, which tooks place on February 21 across the world, we will now highlight some of the great events that took place across the European continent. To see the first blog post, which covered Asia-Pacific, go here. 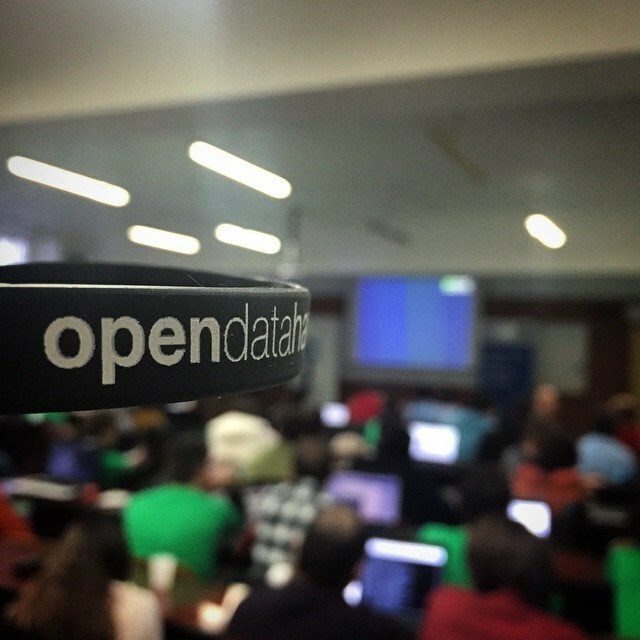 This year’s event was the 4th consecutive Open Data Day for the Transparência Hackday Portugal community, all of which have taken a “show-and-tell” approach to ensure an inclusive, community-building programme for the general public. 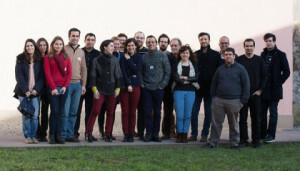 For this year’s event the goals were to invite the general public with an interest in open data to get together, and also become interested in joining hackdays during the rest of the year – as well as showcase the work done at Transparência Hackday Portugal and elsewhere for collective inspiration. The programme was divided into two parts: in the morning, there was a 2-hour workshop around the subject of linked open data; in the afternoon, there was a set of 3 talks, followed by discussion about the current state of open data in Porto and Portugal, which lead into setting possible next steps. Overall, the event was successful and productive and attracted a mixed audience of over 20 technologists, programmers, hackers and students. While the group did not engage in hack sessions (as they usually do in other meetups), the event was an energetic moment and formed a great space for interested people to get in touch with the existing community. More over, the linked data workshop turned out to be a great way to get people engaged with the goals and virtues of open data and the necessary steps to get there. A sentiment that was also emphasized in the projects that were showcased during the talks: They provided good topics for discussion, as well as an effective pathway for newcomers to learn of what the Portuguese open data hacker community has been producing. 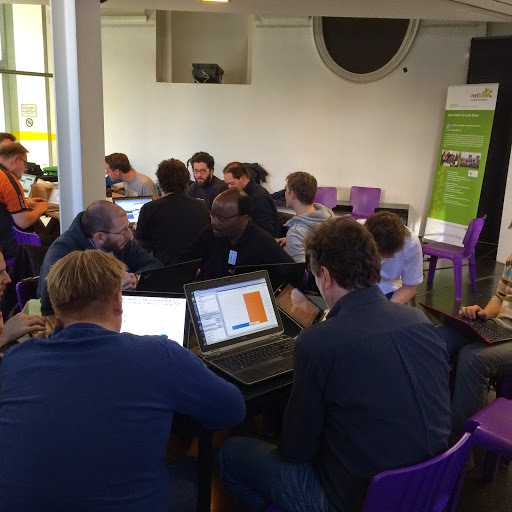 We got two working groups here at Open Data Day 2015 Vienna. A group of 10 People analyzed and visualized all subsidies given by the City of Salzburg in the year 2012 and 2013. This full and complete dataset will be published in the near future, to bring full transparency into Salzburg’s subsidy regime. Another group of 15 started a new citizen sensor data project. We built first seven sensor boxes based on Arduino which measure sun­hours, traffic density, noise, NOx and respirable dust, alike. Together with the city wide public sensors owned by the city administration, this new citizen sensor network bring more local and more frequent data to be used in APPs and analysis. It’s planned to present the running citizen sensor dashboard at viennaopen.net (April 2015). See a photo gallery here. 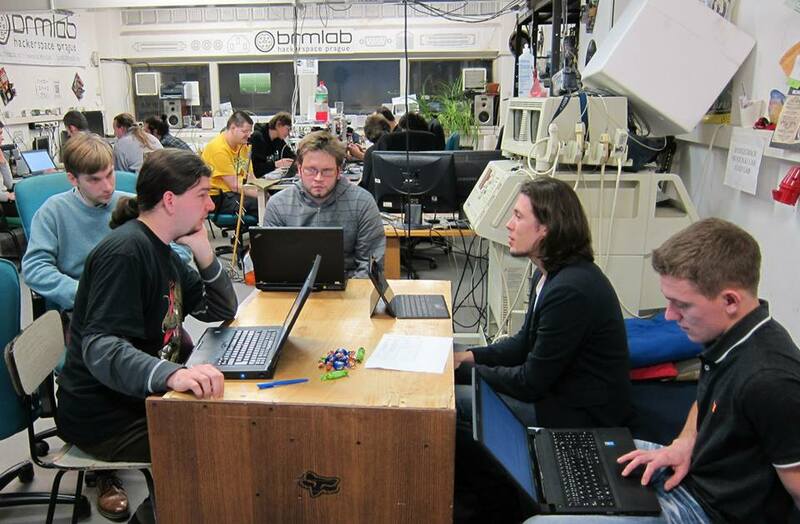 Czech community celebrated Open Data Day with a hands­ome gathering aimed at solving specific data problems. One of the groups worked on improving an API for government contacts, while others discussed the state of openness of Prague’s data. Thanks to the presence of one of the municipal representatives, the working group managed to draft a basic concept for opening the datasets of the Czech capital. The organiser is very happy with the results and would thank brmlab hackerspace, which hosted the event and all the hardworking participants. See photos here. In Denmark two seperate events took place. In Aarhus students were competing in creating the most innovative open data solutions at the Open Culture Days, organized among other by the Open Data Aarhus initiative. In the capitol city of Copenhagen 35 open data enthusiasts met for multiple workshops: a dataworkshop on electoral data, introduction to data analysis and an attempt to map different actors involved in the field of open data and “open” in generel. As a pre-­event a group of people went for a data-­walk in the area to learn about Mapillary, the crowdsourced open-source equivalent of Google Street Maps. In Germany the OK Labs from Code for Germany once again participated in Open Data Day and organized hackathons and workshops in their cities across the country. Leipzig, Münster, Munich, Cologne, Heilbronn (Mannheim), Berlin and Ulm were all among the cities where events took place. Open data enthusiasts in Frankfurt, Jena, Magdeburg and Karlsruhe even used the occasion to launch new OK Labs groups! At all events the community hacked, discussed, welcomed new members and developed numerous projects. 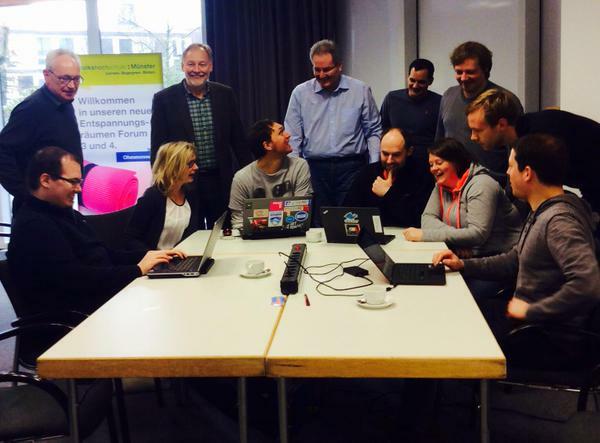 You can find an Storify-overview about the Open Data Day in Germany. With a varied and very interesting spectrum of participants covering both civil society, servants from government bodies and gov-related businesses (including the Head of Cabinet of Deputy Prime Minister Rumyana Bachvarova) as well as representatives from TechnoLogica (one of the top companies in Bulgaria that are executing e-government public tenders), Open Data Day in Bulgaria was kicked off really well and ran over 2 days. Activities included automatic data pushing to the national CKAN instance and the creation of a data visualization with data from the energy sector. Furthermore there were several discussions during the event as well and talks about topics such as what to be aware of when working for opening government administration data. The event also got into concrete chats about the ongoing government data project: The Bulgarian government has prioritized 119 datasets to be published in open format and are now working on putting them on the CKAN data portal that volunteers from Obshtestvo.bg developed last year. They also talked about potentially organising a larger event when there is data in the portal, in which they’ll attempt to engage other organisations like the British Council, universities and venture funds. Lastly, a group created a project on github that reads data from a specified datasource (currently only a file) and submits it to the configured datastore in CKAN. The configuration has a GUI with data validation and it’s meant to be used by local administrations to automate data publishing. The team has agreed to continue working on it and started a facebook group where progress will be posted. Also in Romania the organisers, Coalition for Open Data and its partners, ran their event over 2 whole days to celebrate Open Data Day. The event, run by Coalition for Open Data in collaboration with the Romanian Government and supported by State Embassies of United Kingdom and the Netherlands in Romania, was held at the National Library and on the first day included debates about transparency, justice, culture and business, all from an open data perspective. 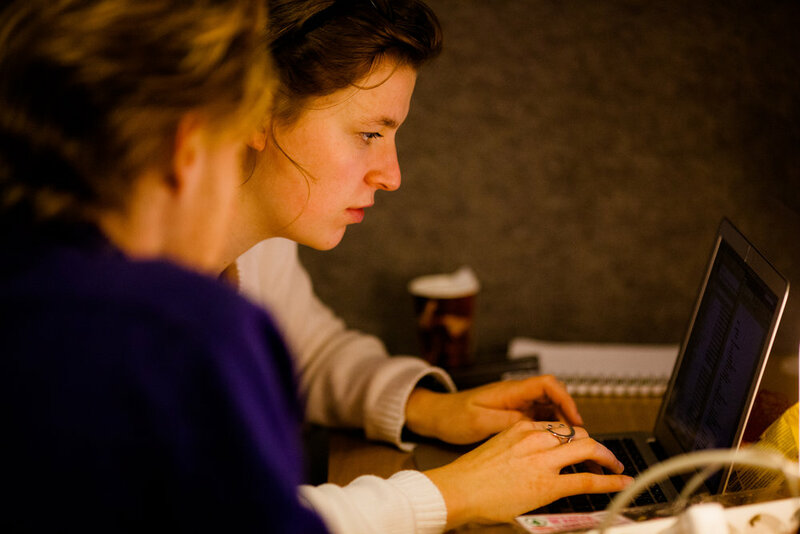 On the second day a programming activism marathon was organised at the Academy of Economic Studies, Faculty of Cybernetics and Economic Statistics. 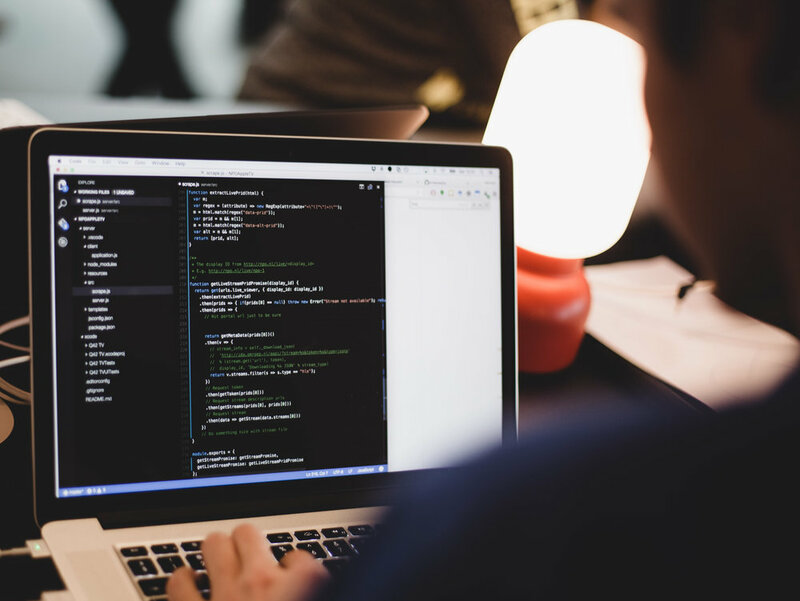 Participants included developers, activists, journalists as well as many others, who all got together to build applications that promote good governance. Read about the event in more detail on the Open Government blog. Nimm am Wettbewerb teil und gewinne einen von 10 exklusiven Plätzen in der International Business Lounge auf Future Everything, einem führenden Innovations-, Kunst- und Technologie-Festival Europas am 26. und 27. Februar 2015 in Manchester. Du bekommst die Chance, Deine App dem gesamten Publikum der Future Everything den ganzen Tag über zu präsentieren – zusammen mit den weiteren ausgezeichneten innovativen Apps aus ganz Europa. Aber damit nicht genug! Du erhältst auch die Möglichkeit, Deine App einer internationalen Gruppe von Investoren, Entscheidern aus Politik und Verwaltung sowie Firmen und Startups zu präsentieren. Diese ausgewählten Experten stehen mit ihren Fähigkeiten, Erfahrung, Kapazitäten und Kapital bereit Dich darin zu unterstützen, Deine App in ein erfolgreiches Unternehmen zu verwandeln. Auf der Webseite von Apps for Europe findest Du weitere Informationen zur Online-Bewerbungen und der International Business Lounge der Future Everything 2015. Alle Online-Bewerbungen werden von unseren “Apps for Europe”-Partnern bewertet: Ein erfahrenes Netzwerk aus europäischen Firmen mit Kontakten, Expertise und dem gemeinsamen Ziel, offene Daten geschäftlich erfolgreich zu machen. Das folgende Video gibt einen Eindruck über die glücklichen Gewinner der International Business Lounge der Future Everything 2014 Hier noch ein Videstatement zu Apps for Europe von Neelie Kroes, ehemalige Vizepräsidentin der Europäischen Kommission zuständig für die Digitale Agenda der Europäischen Union. In einem Zeitalter, in dem Regierungen und Unternehmen immer mehr private Daten sammeln, bedarf es klarer Regeln und effektiver Mechanismen, um die Rechte und den Schutz des Einzelnen zu garantieren. Deutschland und Europa haben international den Ruf, das Datenschutz und Schutz der Privatsphäre in diesen Regionen einen hohen Stellenwert haben. Die Erfahrungen, die Deutschland und Europa bei der Entwicklung von Gesetzen und Institutionen in diesem Bereich gemacht haben, dürfte anderen Nationen von großem Nutzen sein. Darüber hinaus würde ein Beitritt Deutschlands und Europas dem bisher sehr angelsächsischen Einschlag in der OGP eine neue Sichtweise geben. Deutschland und die EU brauchen die OGP, aber die OGP braucht auch Deutschland und die EU! Deutschland und die EU sollten ihrem angestrebten Engagement in der Open Government Partnership (OGP) Taten folgen lassen Den folgenden Aufruf zu mehr Engagement der Europäischen Union in der OGP unterzeichneten europaweit über 50 führende zivilgesellschaftliche Organisationen aus 17 EU-Mitgliedsstaaten u.a. auch der Arbeitskreis für einen deutschen Beitritt zur Open Government Partnership. Die letztendliche Zahl der befürwortenden NGOs dürfte weitaus größer sein, da viele der Unterzeichner zivilgesellschaftliche Koalitionen sind, die mehrere Organisationen vertreten. Ein Offener Brief: Die Europäische Union und die Open Government Partnership (OGP) (deutsche, leicht-gekürzte Übersetzung) Wir fordern, dass die neue Führung der EU die EU-Institutionen dazu verpflichtet, eng mit der Open Government Partnership zusammenzuarbeiten und sich für einen länderübergreifenden OGP Beitritt stark zu machen. Die Zusammenarbeit mit der OGP wird die EU-Institutionen helfen, die gleichen Standards an Rechenschaftspflicht, Transparenz und Inklusion an sich selbst anzusetzen, wie es die EU an Mitgliedsstaaten und Staaten ausserhalb der EU fordert. Sie wird dazu beitragen, die Kluft zwischen der EU und ihren Bürgern zu verringern und die Glaubwürdigkeit der EU erhöhen und die Bemühungen der EU für ein besseres und transparenteres Regierungshandeln innerhalb und ausserhalb der EU untermauern. Warum OGP? Die OGP ist eine internationale Initiative, deren 64 Teilnehmerländer sich zu einer offeneren, verantwortungsvolleren und bürgernäheren Regierungsarbeit verpflichten. Der OGP-Prozess schafft die Möglichkeit, durch ambitionierte Aktionspläne gemeinsam mit der Zivilgesellschaft modernes und transparentes Regierungshandeln zu entwickeln. Die OGP hilft und überwacht die Umsetzung der definierten Ziele. Bereits heute sind 20 der 28 EU-Mitgliedsstaaten in der Initiative engagiert. Warum die EU? Die EU ist weiter entfernt von den Wählern als die nationalen Regierungen. Die Strukturen und Prozesse innerhalb der Institutionen sind schwer für die Bürger zu verstehen, und es herrscht eine weit verbreitete Wahrnehmung von Mangel an Transparenz und Rechenschaftspflicht gegenüber den EU Institutionen. Als Folge der Reaktion der EU auf die Wirtschaftskrise haben EU Institutionen noch mehr Befugnisse über nationale Regierungen gewonnen, womit sich der Zustand der Intransparenz in der Wahrnehmung vieler EU-WählerInnen weiter verstärkt hat. Die EU-Staats- und Regierungschefs sind in der Vergangenheit viele rechtliche und rhetorischen Verpflichtungen hin zu Offenheit, Partizipation und Rechenschaft im Bereich der Europäischen Politikprozesse eingegangen. Die Umsetzung dieser Maßnahmen ist aber leider oft unvollständig oder nicht in vollem Umfang an die Öffentlichkeit kommuniziert worden. Fazit: Der derzeitige Ansatz zu offenem und transparentem Regierungshandeln auf EU-Ebene ist nicht hinreichend auf die Anliegen der BürgerInnen ausgerichtet. Der ehemalige Europäische Bürgerbeauftragte fasst das wie folgt zusammen: “Eine institutionelle Kultur der Transparenz muss noch erreicht werden.” Kann die EU der OGP beitreten? Der OGP war zunächst auf Staaten (also die nationalen Regierungen) beschränkt. Ab sofort können aber auch internationalen und multilateralen Gremien Mitglied werden. Trotz Mängel bei der Umsetzung der Transparenzverpflichtungen erfüllt die EU die OGP Beitrittskriterien. Die Beitritskriterien sind als Mindeststandards zu verstehen, auf deren Grundlage die OGP Mitglieder Verbesserungen anstreben sollen. Dabei ist allein der Prozess zur Entwicklung eines Aktionsplans sinnvoll. Der letztendliche Plan würde dann konkrete Aktionspunkte in Richtung transparenterer Entscheidungsfindung, bessere Konsultationsprozesse und rechtzeitigen wie konsequenten Zugang zu Dokumenten beinhalten. Die OGP würden EU-Bürger ein Werkzeug bieten, um eine verbesserte Rechenschaftspflicht auf EU-Ebene einzufordern und eine unabhängige, qualitative und quantitative Bewertung der Fortschritte voranzutreiben. Der Orginaltext kann hier (PDF) heruntergeladen werden. Dieser Artikel ist zuerst auf der Seite des Arbeitskreis für einen Beitritt Deutschlands zur OGP erschienen.